Last Friday I attended my first Fashion Revolution event in Manchester at what used to be the Cornerhouse Cinema but now a part of Manchester Metropolitan University. Hosted by The Resyntex Project, MMU and Stitched Up, the afternoon was set up as part of a round of events up and down the country to mark Fashion Revolution week. It culminated on Sunday 24th with the 3rd anniversary of the devastating Rana Plaza factory collapse in Dhaka. I didn’t start to become aware of the effects of fast fashion until I set up my own label in 2012 and realised what a devastating effect cheap foreign manufacturing was having on homegrown businesses trying to survive. At no point during the time my business has been running has it been easy financially. Every month is a struggle to make enough to live on and my work has been punctuated by short returns to PAYE to keep things ticking over. Largely the problem is the huge over subscription of cheap high street clothing brands which churn out couture catwalk inspired designs on an almost unfathomable scale. The speed and volume with which new garments are turned around affects every brand from one man businesses like myself, right up to the likes of Chanel and Dior. Not only is it killing our planet with its cast offs, and its people with its dangerous working conditions, but it’s killing couture fashion too. Catastrophes like Rana Plaza do highlight what is going on away from the customers gaze, but its easy to ignore if you just want cheap clothes and have no interest in how they got there. Since Rana Plaza, garment production in Bangladesh has gone up 16% with little improvement for factory workers, their conditions or their pay. Our lives went back to normal. Families in Dhaka who lost incomes thanks to the tragedy are still trying to get compensation. Some are still waiting to be reunited with their dead. Many had life changing injuries which mean they can no longer work at all. Buyers demand cheap and in high volume because customers seemingly expect it and they are reluctant to help factories invest in improvements. The obvious knock on effect is cost which would ultimately be handed down the line to Western consumers. 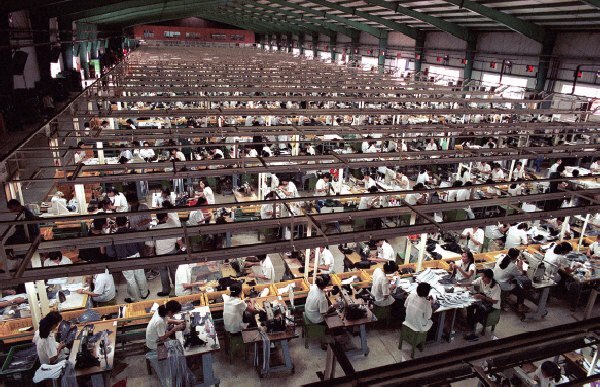 Factories fear buyers will take their business to other countries with even less interest in the welfare of their workers, if they have to command higher prices. The reality is that buyers should be forced to follow strict standards wherever they go. And if prices go up everywhere, surely customers won’t stop shopping, they’ll simply pay a bit more. A lack of supply chain transparency is a major problem largely the fault of the greedy Western world which only do enough to keep its brand looking concerned. H&M is regularly blamed for this kind of whitewashing but many chain brands are guilty in some form or another. The turn out for Friday’s event was enthusiastic but I had a sneaking suspicion the majority of those in the room already understood the problem on some level. We weren’t the public that needed educating, although for sure some of what followed over the next four hours was more than we expected. The afternoon opened with a BBC documentary about the Rana Plaza collapse. Although I knew about it, absorbing the full details on such a scale from the mouths of survivors was to say the least disturbing. We were left wondering who was to blame – the greed of the buildings owner, or the Western world for pushing factories to churn out garments with little regard for workers welfare. The documentary was streamed via the internet and punctuated by some rather annoying advertising every 15 minutes. Not anyone’s fault. Streaming for free is rarely without its dose of materialism. But it seemed ironic. Here we were watching about a terrible disaster thanks to Western greed and the advertising was all the time telling us to buy buy buy. Noone had considered whether it was in keeping. It was not. Papa Johns Pizza, Paypal and the latest in motor chic from Kia. I doubt any of these companies considered Rana Plaza. Documentary two followed the life of our garments after we have grown tired of them, from charity shop to their final destination, the thriving second clothing industry in Ghana which nets £50 million annually. It also looked at how its distribution there by the ton is damaging the traditional textiles and clothing industry and turning everyone into cheap fashion addicts. 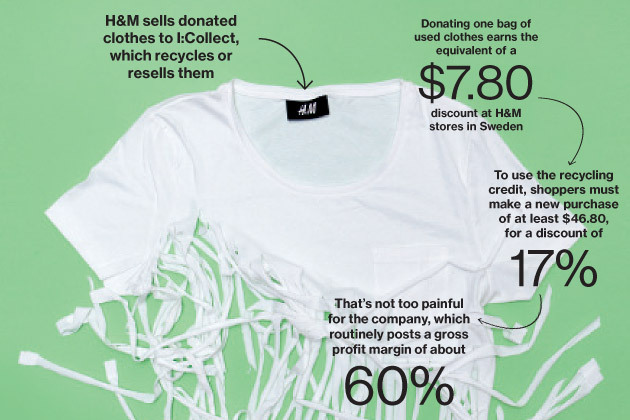 Wherever it ends up it seems – fast fashion creates chaos. The statistics on this programme were quite unexpected. I don’t know what the long term solution is. It begins with legislation in developing countries taking the welfare of their workers seriously. This demands financial input from the Western world and a rise in prices which is inevitable and I think desirable. And it needs to be worldwide to prevent countries undercutting their rivals due to poor standards. And retailers need to be made accountable for the conditions all along their supply chain. For too long our attitude to towards fast fashion has been dismissive and damaging and its time things changed. We cannot keep demanding our purchases for less and less. Otherwise Rana Plaza will not be the last major incident.